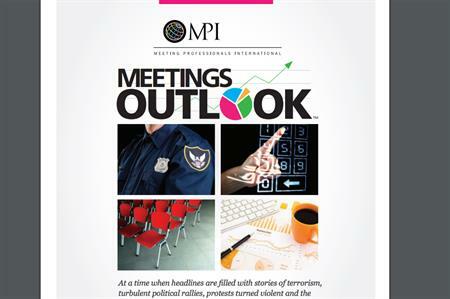 More than half (57%) of event planners have predicted a rise in budgets for 2017, with 15% reserving additional budget for security, according to the MPI Meetings Outlook 2016 Autumn Edition. The latest instalment of the quarterly report from Meeting Professionals International (MPI) projects moderate growth in overall business conditions, with 67% of planners predicting ‘favourable conditions’ and only 13% predicting poor conditions. In terms of live events, there is a positive outlook, with 60% of respondents expecting a growth in the number of attendees. Employment growth is expected to remain steady, with 34% of respondents seeing an increase in the number of full-time employees, and 45% witnessing a rise in the number of contract workers. This data remains relatively similar to the previous year, where there was a 38% increase in the number of full-time staff. While 15% of meeting professionals have increased security threat awareness and responses, 14% claim security has influenced destination selection. According to the report, many meeting professionals are preparing for the worst while hoping for the best. Stuart Ruff-Lyon, CMP, MPI Greater New York City Chapter, and vice president of events and education at RIMS, the risk management society, organises an annual 11,000-attendee trade show, as well as smaller events. "We have sniffer dogs and many plain clothes armed police walking the floor," he explained. "None of this is inexpensive. Our security budgets are increasing, increasing, increasing." Despite the rising concern about security, some meeting organisers and planners are still leaving glaring gaps, according to Robert Siciliano, a security analyst who works with corporate groups. "One big oversight is attendees leaving their computers and personal devices on meeting room tables when they leave for breaks. "When they don’t simply take their device with them to lunch, they’re saying, ‘We’re not concerned about our devices being stolen. It’s really not going to happen here'. It’s a complete showing of denial that these things are going to happen around here."